UPDATED – MEXICO CITY (CNS) — The Mexican bishops’ conference does not believe an explosive device detonated outside its offices — adjacent to the country’s most visited religious site, the Basilica of Our Lady of Guadalupe — is an attack on the Catholic Church. The motive for the July 25 explosion remains a mystery, though some in the conference said it reflected the violence suffered by society at large in a country with soaring homicide rates and a decade-long drug cartel crackdown. “This act invites us to reflect emphatically, to reconstruct our social fabric to provide better security for all citizens,” Auxiliary Bishop Alfonso Miranda Guardiola of Monterrey, conference secretary-general, told media the day of the explosion. Humberto Roque Villanueva, Mexico’s undersecretary for population, migration and religious matters, called the explosion “a message of hate,” during an interview with the newspaper El Universal. The type of device used remained unknown, and detectives were investigating the explosion, the statement said. Mexican media reported the device was a Molotov cocktail. Other bishops expressed similar sentiments, though one prelate took the attack as a signal to tread carefully. 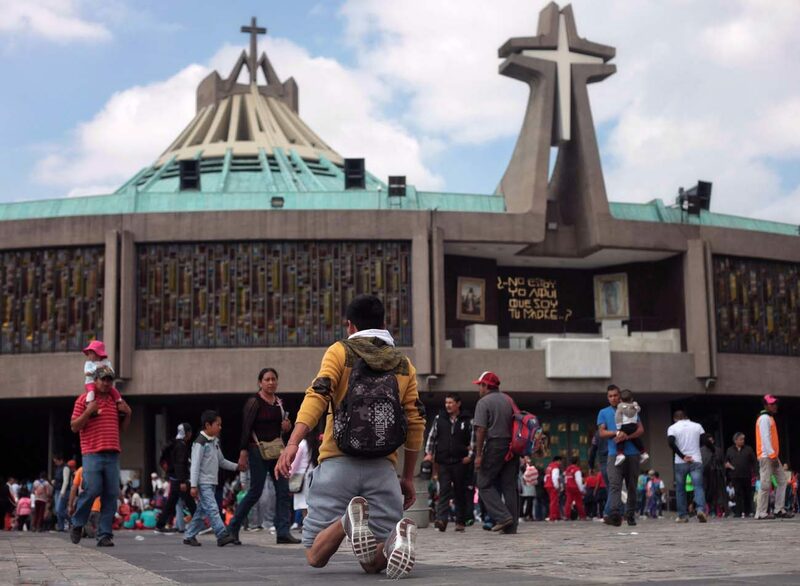 “In this context of intimidation, destabilization, putting people up against the wall, this violence against a building that has a special symbolism is understood because it is the episcopal conference’s,” Bishop Raul Vera Lopez of Saltillo told the newspaper El Norte. “They’re tell the bishops: ‘Stay quiet, stay still and don’t move,'” said Bishop Vera, who has displeased the governing party in his northern state by denouncing a June election there as rigged. The violence engulfing Mexico has not left the Catholic Church untouched, even though census data shows 83 percent of the population professing the faith. At least 18 Mexican priests have been murdered over the past five years, according to the Centro Catolico Multimedial, for reasons that confound Catholic officials.